← back to school back to school. a headboard with a heritage. We’re not new to having a unique headboard. When we got married we used the bedroom set my husband had used in college for our “master” bedroom. It was fine for awhile, but it just didn’t suit our needs. Our first master bedroom in our first house [confusing, huh?] was pretty small, so it was a tight squeeze to get everything in there. 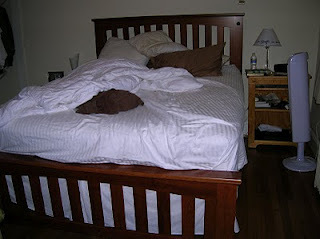 Tommy wanted to take the headboard and the foot board off the bed, and it ended up being a great move. We had at least a good six inches of space to move around the bed after that. But I had to have a headboard, so we got creative. 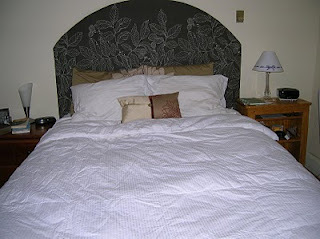 This is what our original bed was. Could I be any messier? 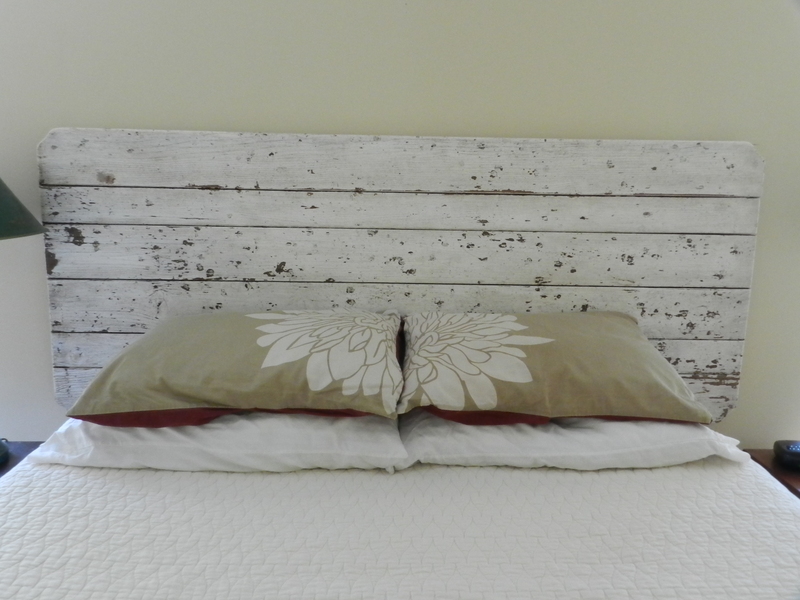 This was the headboard we made. It added some of our style and helped with our space issues. Win. Win. 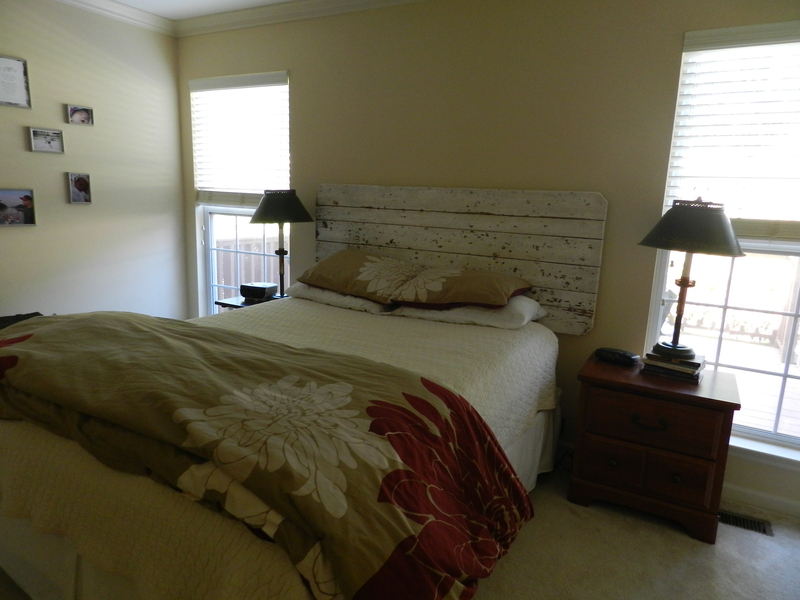 We decided not to use that homemade headboard when we moved to Tennessee. It just didn’t feel right, but we also didn’t want to put the original bed back together, even though we do have more room here. So we waited. Finally, the world fell into place and the greatest headboard for us was born. We turned my Mamaw’s picnic table into our headboard! I am crazy about my Mamaw’s stuff. I LOVE incorporating her things into our home. I LOVE having a home where I can look around and find reminders of her. I miss my Mamaw, and to me, this is just a small way of the remembering, the honoring. This picnic table had been sitting outside folded up, unused at my parents house for over a year. One day my sister said “hey, why don’t you make that your headboard?” I was crazy about the idea! Tommy got on board and helped get things going [and by that I mean, he did ALL of the labor to make this happen]. He took the legs off the table, cleaned it, sealed it, and stuck that baby up on the wall. It makes our room feel awesome. I’m lovin’ it. I’m linking up with Tatertots & Jello for her Weekend Wrap Up Party here. I’m linking up with The Shabby Creek Cottage for Transformation Thursday here.